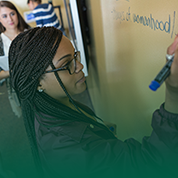 This UDC exhibit explores the lives of women from the last 100 years and their impact on higher education. Learn more about the educators, policy makers and administrators who shaped their field. Learn more about this topic through books, a timeline, and some statistics that might surprise you. Have you ever wondered about the local impact of trade tariffs? Or the social cost of carbon emission? From local budget analysis to military reports on global warming, government documents offer a wealth of knowledge from local, state and federal levels. They make sense of our world and help us plan for our future. This exhibit offers guidance on searching within the SuDocs government classification system and highlights some of the fascinating and useful items found within the Libraries’ government documents collection. The exhibit is located in the UDC Library and will be on display through November, 2018. SUSTAINABILITY: HOW CAN I MAKE A DIFFERENCE? The term "sustainability" evokes electric cars, solar power and clean water. How can I get involved? 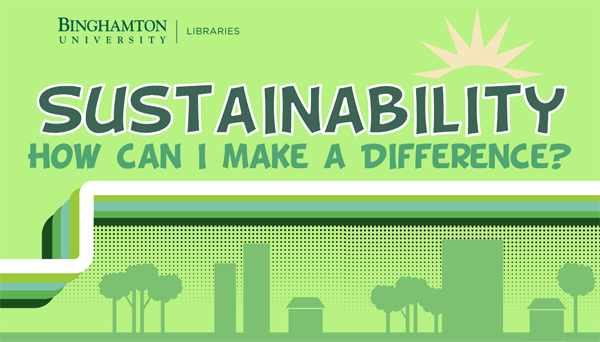 Visitors were invited to go deeper into what sustainability really means as a citizen of Planet Earth, at the University Downtown Center (UDC) Library-Information Commons. Sustainability: What can I do? featured books and materials that can help guide your research or serve as a jumping off point for those interested in living sustainable lives.